Finger Huggers! This ring feels amazing on your finger, like a hug! They can be adjusted slightly to different fingers. 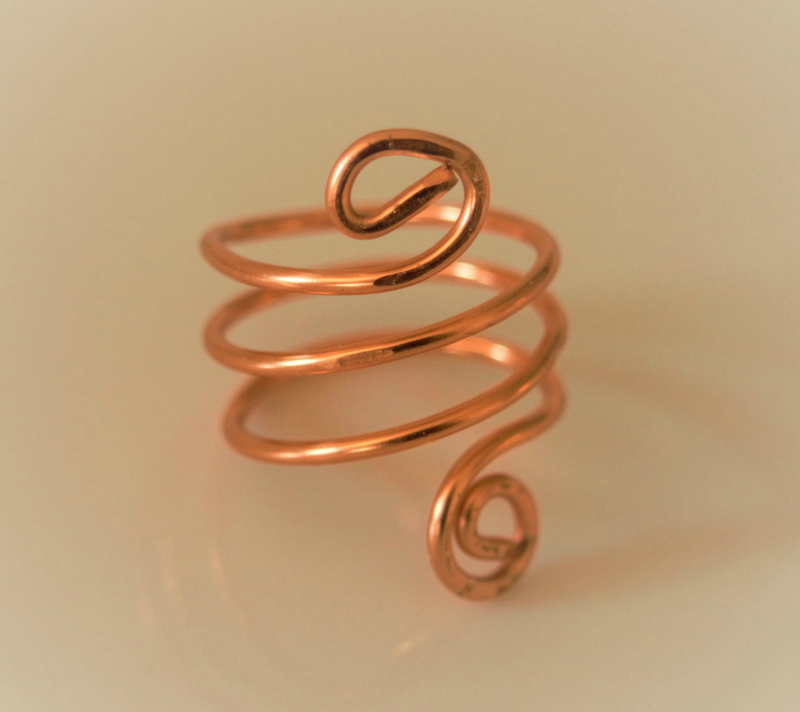 Metaphysically Copper is known to stimulate the flow of energy and enhance psychic abilities. 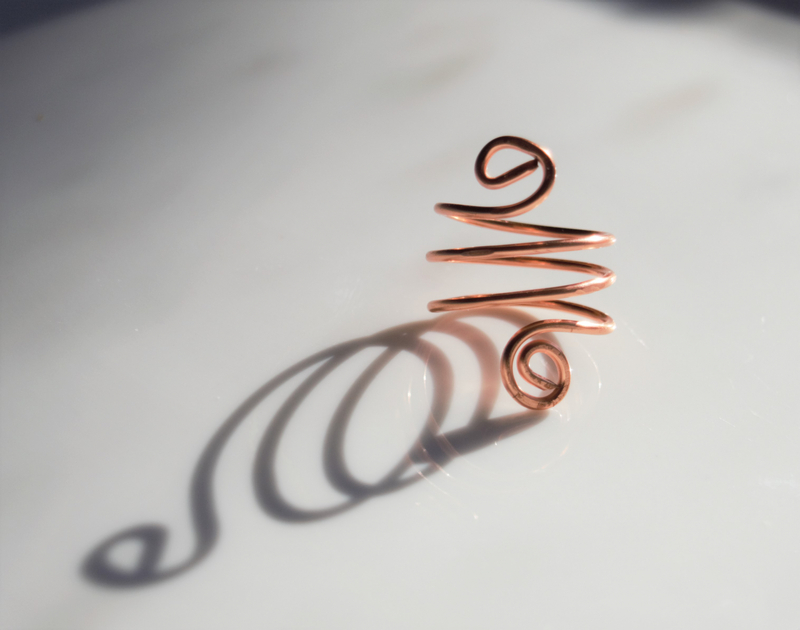 Known as an energy conductor copper can move energy, amplify thoughts, assist in channeling and communicating with higher dimensional beings. 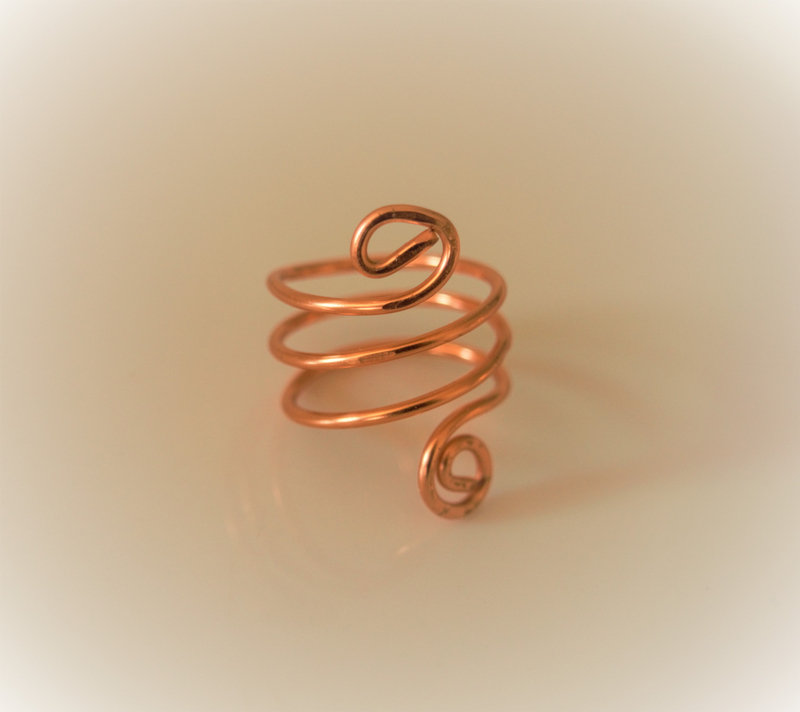 Copper has the ability to ground and transfer a wide array of vibrational frequencies from the spiritual to the physical. 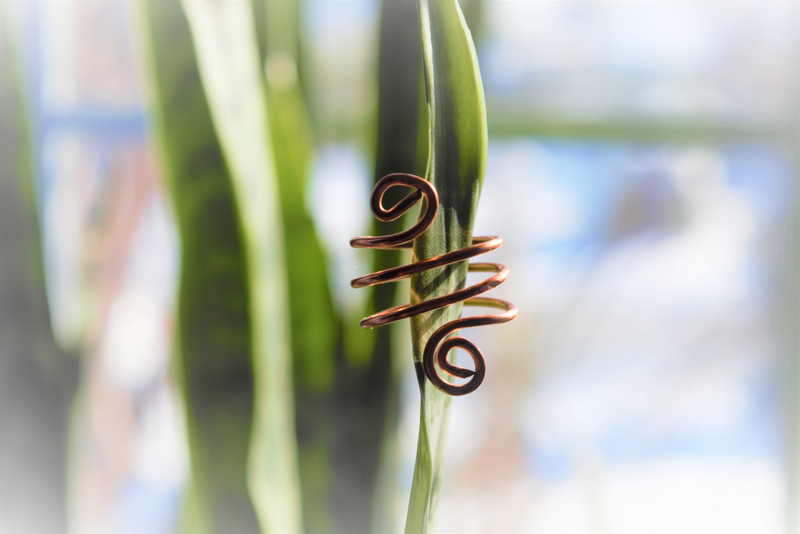 Copper is known to support healing by keeping the pathways for healing open. You will receive your ring in a gift organza pouch with a positive affirmation card.